while now and the supplies are running low. According to the folks at the Village Clerk’s offices there are currently less than 200 still available for the Summer ’19 season. But don’t panic if you can’t make it out here to pick up your sticker. You can go online and purchase your pass. If you need the link, click here. Remember, you need the pass to legally park at village beaches after 9 am to 4pm from May 15th to September 15th. I know with the cold damp weather it might not seem like it, but summer is approaching faster than you know. Sometimes you really wanna go where everybody knows your name. One way to ensure that will happens is to get in on what more and more Hamptons homeowners are discovering, bars are the new media rooms. Yep, you heard me right! It’s something I discovered for myself a few years ago when my partner and I bought our “spec” house in East Hampton. In the family room was a big, bulky and industrial looking wet bar. It felt like my college pub without the brok en glass and funky smell. My first thought was to pull the sucker out but after our first get together we noticed this had become the focal point for the party. Eventually, we renovated and changed the bar to its current state (pictured) where it is still the place everybody hangs! It really makes entertaining fun and apparently I’m not the only one who think so. In just the past few months I’ve listed homes both new and old with expansive set ups; wine fridges, sinks, dishwashers, ice machines, etc. But most important of all buyers are looking for homes that have these entertaining centers. I guess it’s all part of what author Faith Popcorn called cocooning. Home is the place to be and people enjoy bringing the outside world into their homes. Now if I could only get my dog to change his name to Norm. Below some of the more impressive (but far from the only) bars currently on the market. It’s a far cry from that 1970s basement version with the budweiser light and shag carpet. Lower Level entertaining at 633 Hedges Lane, Sagaponack. $9,995,000. 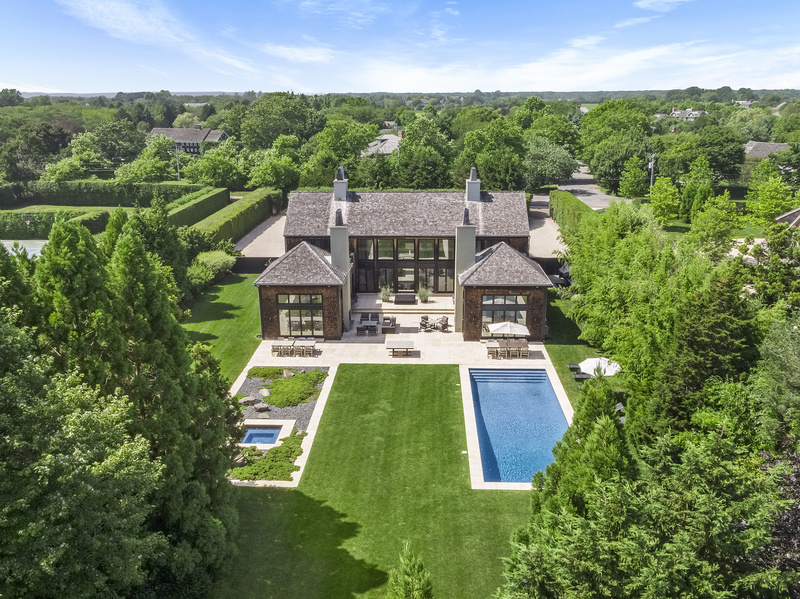 Listed by Douglas Elliman… yours truly! Click for more details. Arts and Crafts coolness at 44 Little Noyac Path, Water Mill. $5,950,000. Listed by Douglas Elliman Joe Piccininni Click Here for more. Rooftop cocktails at 6 Union Street, Sag Harbor. $7,495,000. Listed by Compass Kathy Zappola & Scott Strough. Click here for details.